Various grate, active sheet, passive sheet, grate pin, sprocket, chain, grate, furnace door, slag scraper, front and rear bearing block, slag stopper, coal gate, economizer, side seal Iron, manhole, hand hole device, roller and other boiler parts, the material is gray cast iron, Ma Steel, ductile iron, precision cast steel, etc. Its quality level has reached the advanced level of domestic similar products, welcome to visit. Furnace coal fired chain grate stoker can be applied in chemical plant, university, food factory, beverage factory, cannery, textile mills, paper mill, sugar plant, central heating and other industries. 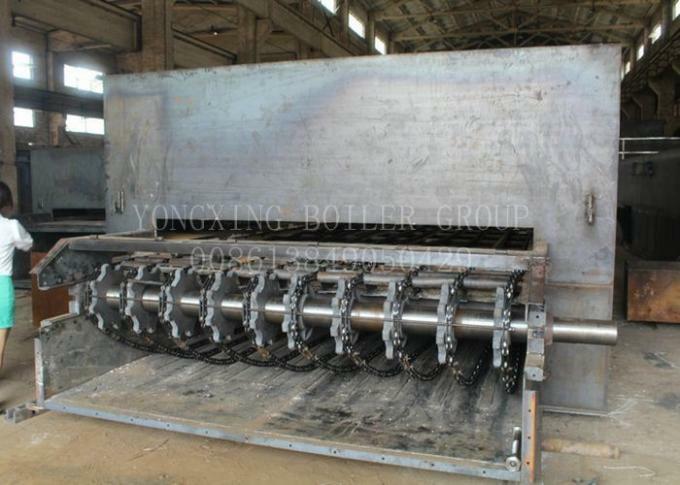 1.Travelling grate stoker leaks a small amount of coal, about 0.15 ~ 0.2%, saving fuel. 2. With automatic cleaning function. At the tail of the grate, it is automatically cleaned by gravity and ash slag. Better cooling furnace row. 3. Has a good adjustment ability. Any grate bar can be adjusted at any time without stopping the furnace. 4.The working conditions are layered reasonably. Grate pieces, supports and chains function as combustion, support and operation, respectively. 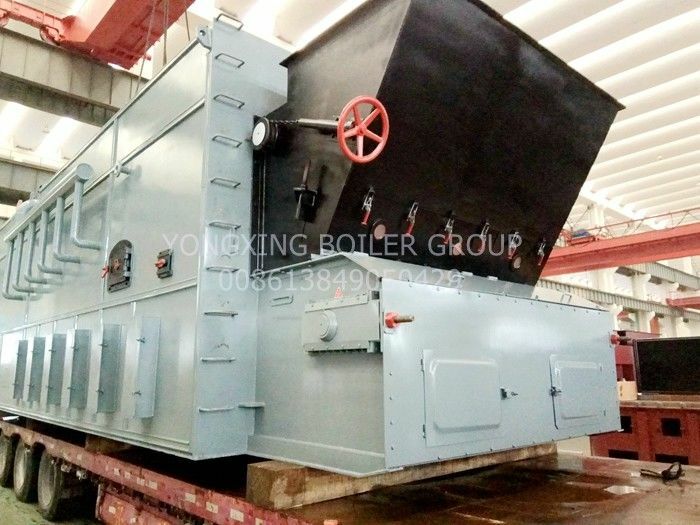 5.Travelling grate stoker can be used in a variety of large boilers. Especially when it is greater than 10t/h. 1.Rectangle grate piece, including 12# 15# 18# 20#,24# 26#,30#,32# and single double wind passive film. 2.Three-jaw grate. The size consists of 112mm 115mm 118mm 120mm 125nn 133mm 135mm 150mm 155mm 165mm 205mm. 3. Four-jaw grate.The size consists of 200mm, 214mm 219mm, 220mm, 230mm 240mm 245mm 250mm 252mm, 265mm, 286mm, 296mm, 320mm, 330mm, 350mm, 368mm, 370mm, 380mm, 385mm 390mm, 400mm. 4. Live core grate. The size consists of 200mm, 203mm, 205mm, 220mm, 228mm, 231mm, 235mm, 245mm, 250mm, 265mm, 290mm. 5. flake type grates.The size consists of L=288mm 301mm 311mm 315mm 318mm 330mm 365mm 367mm 368mm.